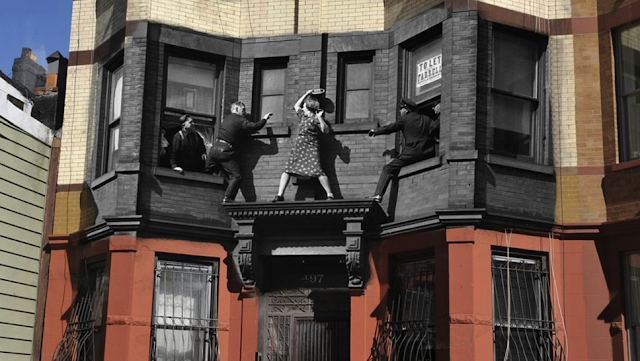 On March 19, 1942, Edna Egbert fought with police after she climbed on her Dean Street ledge in Brooklyn. 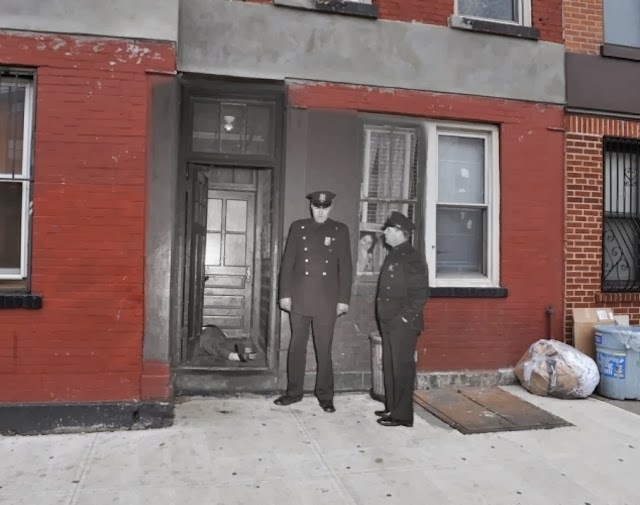 Gangster Salvatore Santoro lies dead in a Brooklyn vestibule on January 31, 1957. Another gangster, Frankie Yale, killed by a drive-by in Brooklyn, 1928. 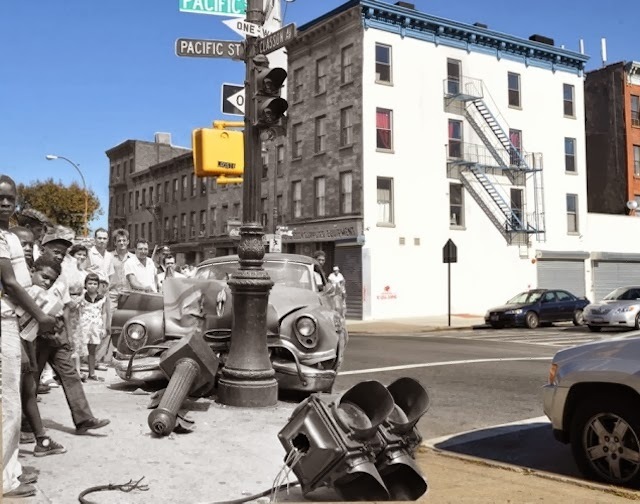 A stolen car smashed into the streetlight at Classon Avenue and Pacific Street in Brooklyn, 1957. 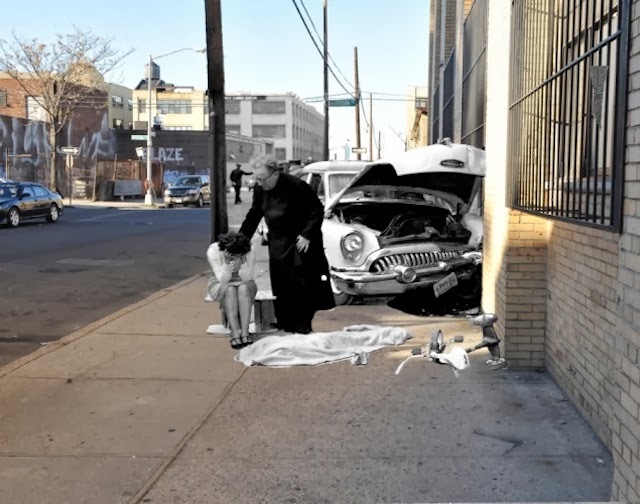 A tragic photo from 1959, after three-year-old Martha Cartegna was killed while riding her tricycle in Brooklyn. 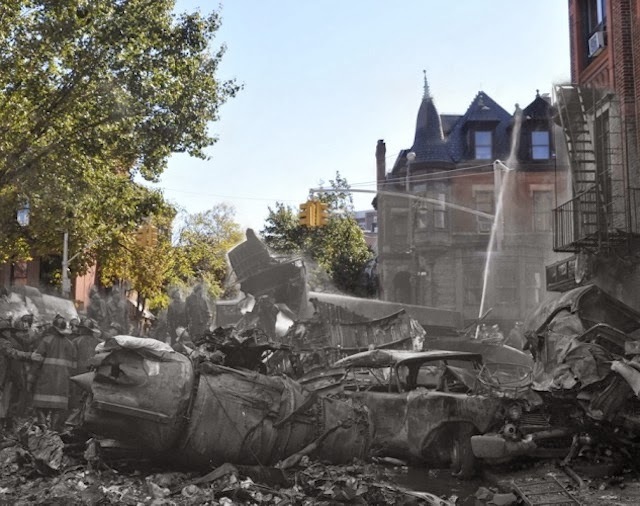 In 1960, United Airlines Flight 826 and Trans World Airlines Fight 266 collided over Park Slope in Brooklyn, killing 130 people. 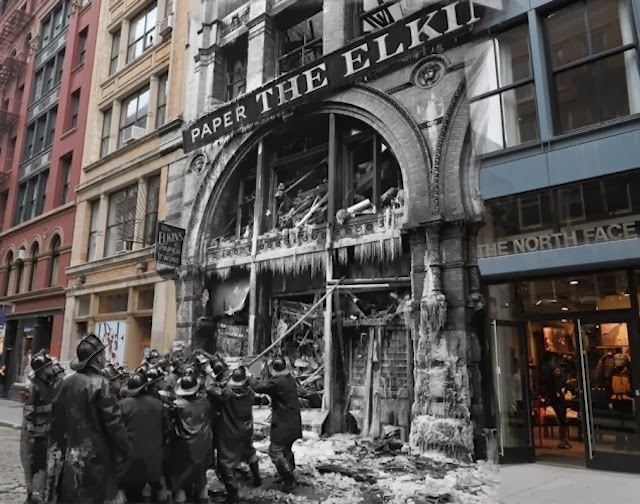 In 1958 there was a fatal fire at the Elkins Paper & Twine Co. on Wooster Street in SoHo. 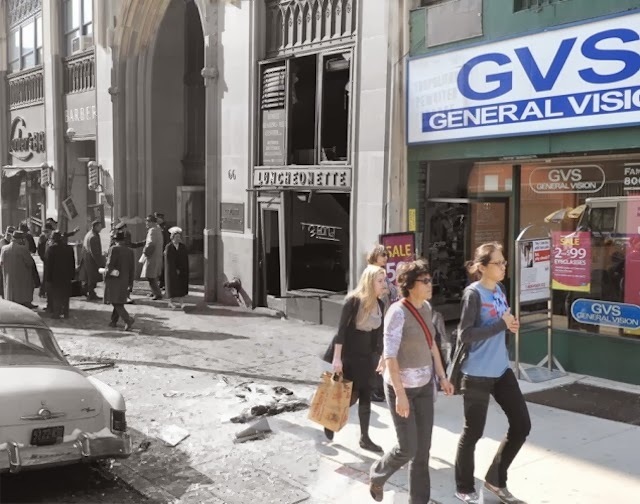 The building burned to the ground. 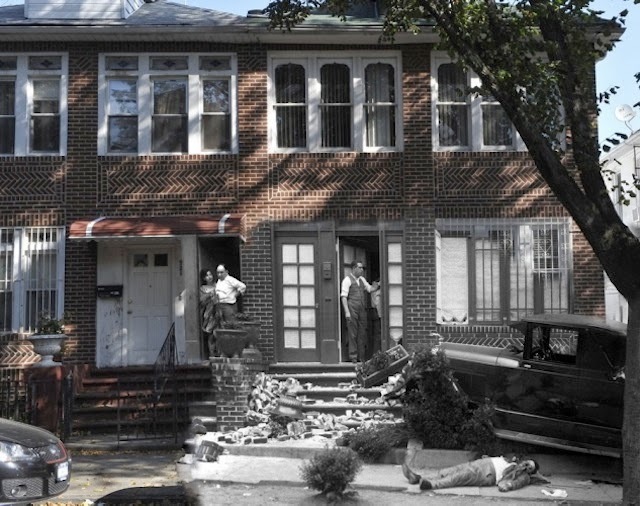 A gas explosion shattered this Court Street facade in Brooklyn on January 31, 1961. 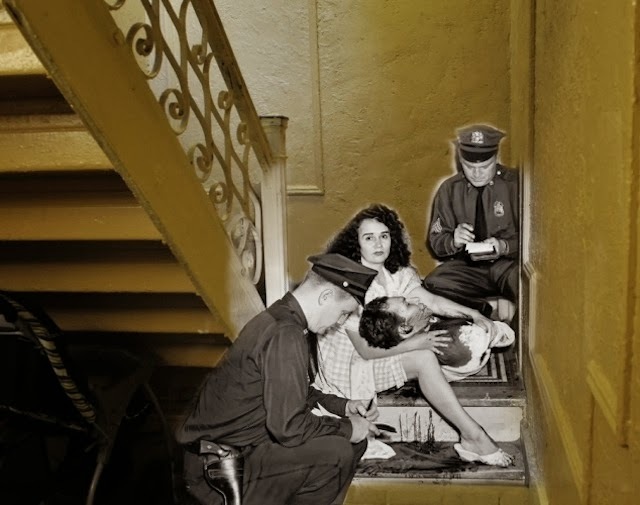 Here is James Linares with his girlfriend Josephine Dexidor, after being shot by her husband in a Bronx stairwell, 1961. To see more pictures, together with the whole original photos, visit the New York Daily News archive.